The building which houses SSamzie Space carves it’s six floors into a hill side. The six floors of the building are connected by a single staircase in the middle of the building, which forces the visitors to use the staircase when they want to move between exhibition spaces and/or floor levels. 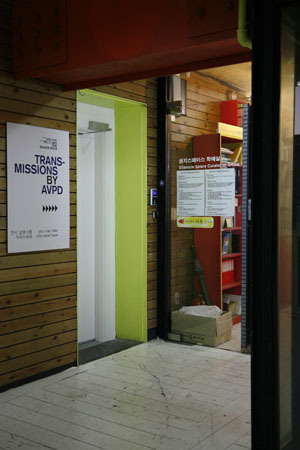 It is characteristic for the building that the there's no windows in the staircase or in the exhibition spaces. Further more the three exhibition spaces are irregular shaped with skewed angles. All together these physical characteristics are contributing to create a spatial sequence which disturbs the ability to position one self vertically and horizontally in the building and towards the surrounding world. Staircase is a complete rebuild of this central staircase. 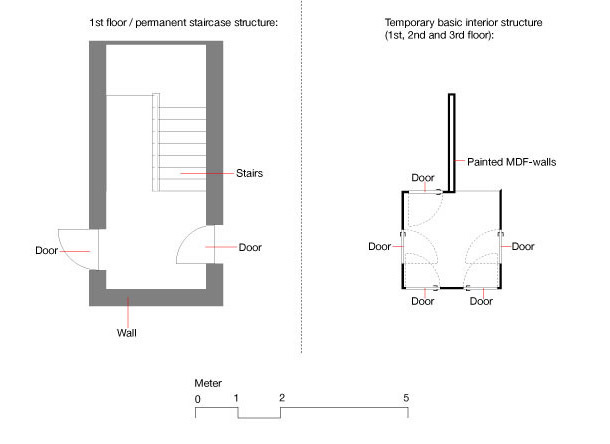 In the existing staircase architecture the number of doors on each floor level range from 2 - 4 doors. The floors and stairs are made from granite, and the walls and ceiling are painted in a neon green color with graffiti inspired signs painted on top. Further more fire alarms and fuse boxes can be found in different ranges on each level. In the work Staircase the characteristics of the building are enhanced by transforming the staircase (from 1st through 4th floor) into a complete indifferent spatial sequence. On each floor level all walls are completely covered by a new white painted wooden construction including five doors. 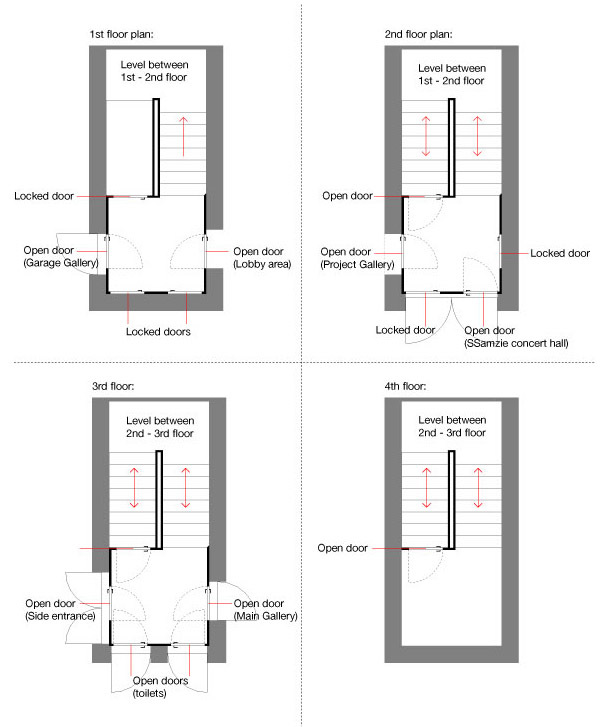 The doors are configured differently on each level depending on what is behind the door (toilet, gallery, concert hall, closet, entrance or wall). Meaning that some doors are open all the time, some are potentially locked and some are permanently locked. 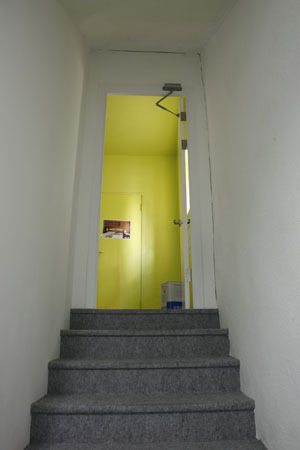 Floors and stairs are completely covered by a grey carpet and walls and ceiling are painted white. Fuse boxes i.e. are covered with identical white boxes. No matter where the visitor is situated in the staircase there is no visual way of differentiating that particular part of the staircase from another. Thus creating an abnormal situation with no visible way of navigating. Film footage of a movement in the staircase / duration 110 sec. Layout of the installation on the four floors.